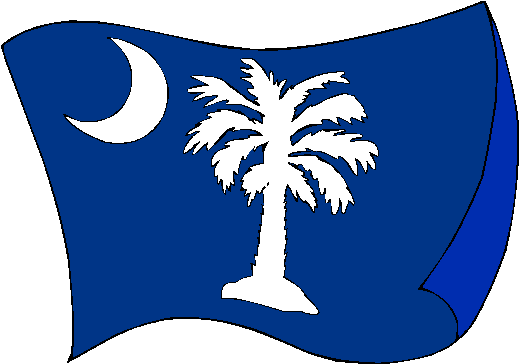 The flag of South Carolina depics a cresent and a palmetto tree on a blue field. The crescent represents a criniere (neck armor for a horse) or gorget (neck armor for a soldier). The palmettot tree represents the defense of Fort Moultrie (which was constructed of palmetto logs) from the British in 1776. Elements of the flag date back to the American Revolution, but the current version of the flag was adopted on January 28th 1861, soon after South Carolina had seceded from the Union (at the start of the America Civil War). 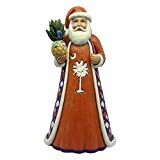 This original high-quality wood print from Lantern Press boasts sharp detail and vivid imagery of Rustic South Carolina State Flag (10x15 Wood Wall Sign, Wall Decor Ready to Hang). Lantern Press is a dynamic art company that specializes in the world's leading imagery. Our collection includes original works created by our in-house art team, photography, home & office decor trends, vintage art, and more. Your support allows us to continue doing what we love - creating beautiful art.